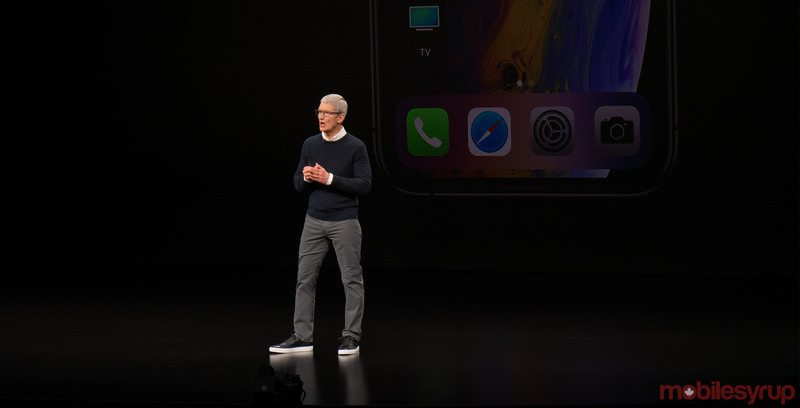 Apple hosted its ‘Show Time’ event at its Steve Jobs Theatre in Cupertino, California, where it announced several new services. From a magazine subscription to new original content for its TV app, Apple covered multiple areas. The tech giant even launched a credit card. We picked out a few of our favourite announcements from the events, which you can check out below. Apple announced several new services at its ‘Show Time’ event, but perhaps the most interesting was its exclusive new credit card. Dubbed ‘Apple Card,’ the Cupertino-based tech giant boasted that its credit card would help improve your financial health. It features lower interest rates, transparent billing and more. Additionally, Apple built comprehensive financial tools into its Wallet app. At a glance, cardholders can see how much they owe and when it’s due. Plus, you can get a breakdown of spending. Users can also opt for bi-weekly and weekly billing and get live estimates on how much interest they’ll pay when they choose not to pay back the full bill when its due. Apple also released a physical, titanium card for use where Apple Pay isn’t supported. 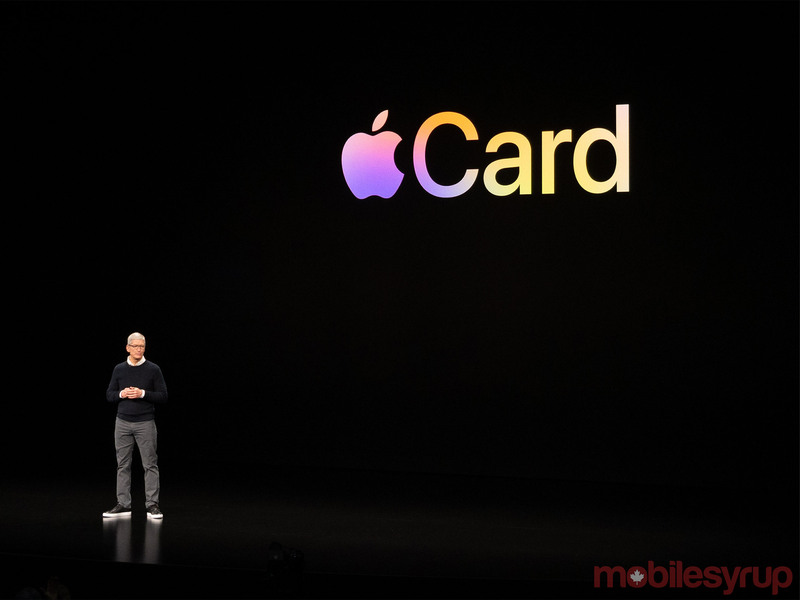 Apple Card will launch this summer in the U.S. It’s unclear if Apple Card will eventually make its way to Canada. You can learn more about it here. Apple News looks like it aims to be the newsstand of the future. 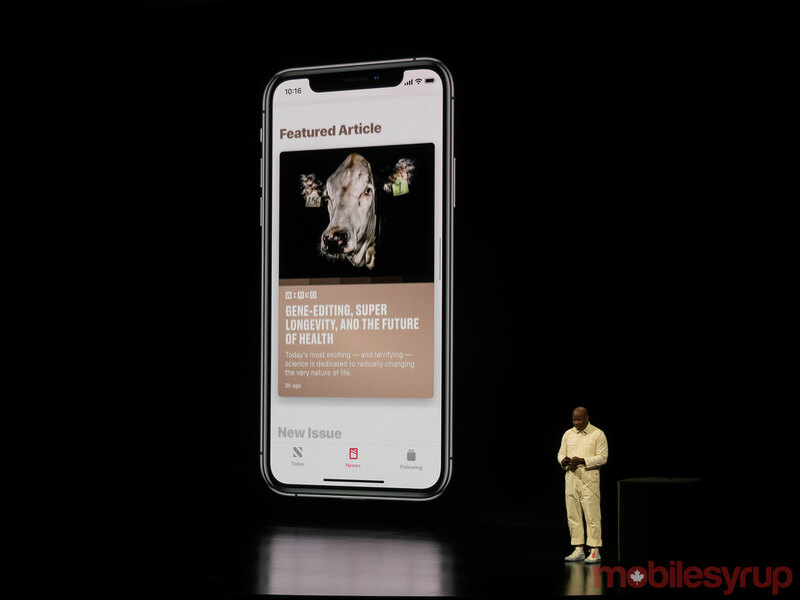 Among everything announced at Apple’s event, the News+ subscription really sets itself apart as a unique offering that only Apple could provide. News+ doesn’t feature digitized magazines — it has fully realized digital creations that harness the best of Apple’s iOS and mobile hardware. The company’s ‘Live Covers’ feature is a prime example. Live Covers allow magazine designers to create custom, animated covers. On stage, Apple showed off a National Geographic Live Cover that panned across a city skyline. Overall, News+ brings a promise of expert, unique digital magazine experiences that could alter the face of the magazine publishing industry. The service brings over 300 digital magazines and newspapers to subscribers. That includes 30 Canadian magazines as well as the Toronto Star. You can learn more about News+ here. Also, here’s a list of the Canadian magazines included in the platform. Apple joined Google in launching a gaming service, but took a shot at Google-made Stadia’s cloud-based platform, noting that you could play its games even if you didn’t have an internet connection. 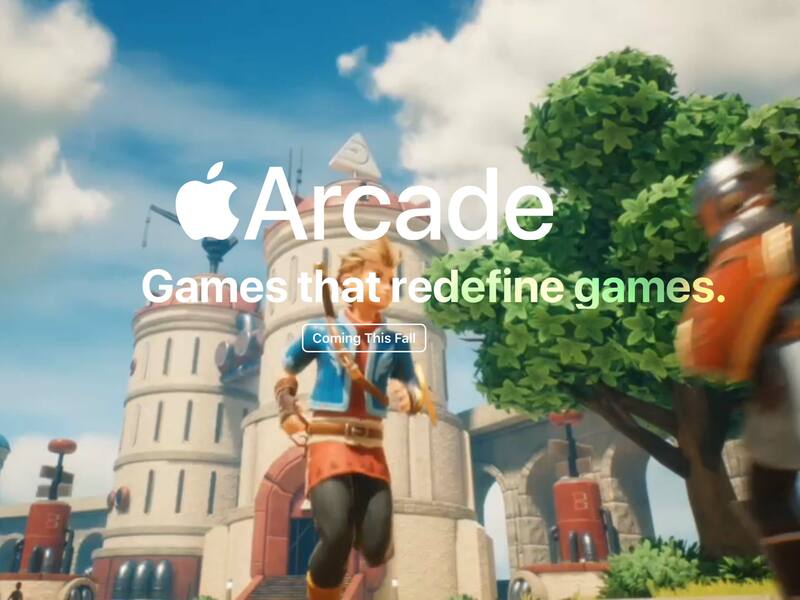 Called Apple Arcade, the service will offer subscribers more than 100 premium games developed by a variety of different game studios. This includes Toronto-based developer Snowman, known for co-producing Alto’s Odyssey, as well as Vancouver-based Klei Entertainment, which made Don’t Starve. Games will be available across iOS, macOS and tvOS devices and it supports ‘Family Sharing,’ so your whole family can access games at no extra cost. Apple Arcade will come to Canada in fall 2019. You can learn more about the service here. 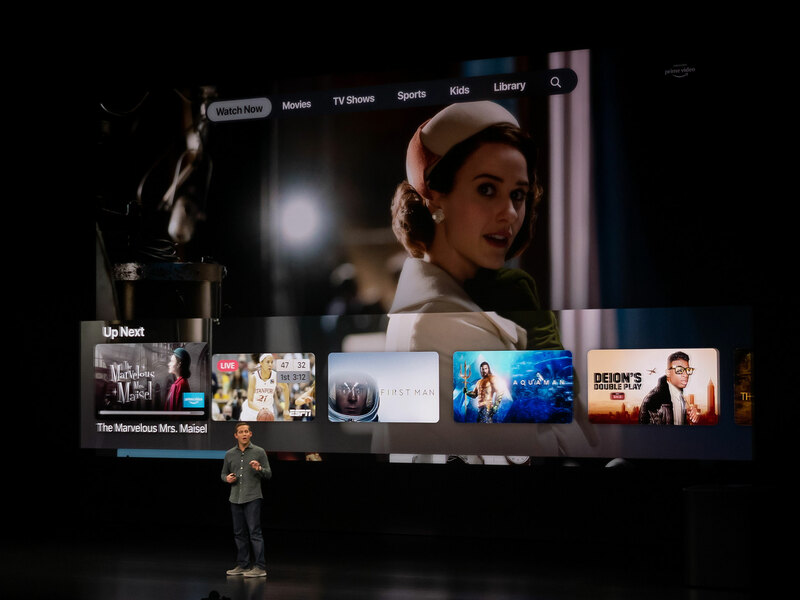 Apple also announced that it’s revamping the Apple TV app to better incorporate Apple TV+, streaming platforms and other cable packages, which will be integrated into the app, at least in the United States. Canadian-specific cable information has yet to be released. The app is coming out in May and features a slick new design, as well as a ‘Kids’ section. Similarly to how it now the app will be populated with content from other streaming services in the U.S., Apple’s TV app in Canada will feature the likes of CBC’s Gem, Amazon Prime Video, Crave and others. Notably, Netflix’s content won’t be available in the new app. The new version of the app will also include movies from iTunes so users can rent or buy movies without leaving the Apple TV app. To learn more about the app, check out MobileSyrup’s story about the revamped Apple TV app. One of the more surprising announcements from Apple’s Show Time event was the sheer number of devices that the tech giant said its new TV app will run on. The fact that Apple is putting the new app on Roku and Fire TV devices proves that the company aims to make sure as many people as possible use it and, by proxy, its new streaming service Apple TV+. At the event, the company specifically said that it’s coming to Samsung, Sony, Vizio and LG’s smart TVs, but there’s no mention of what models or operating system versions are supported. All in all, this is a big step for the company, which usually keeps its services locked down to its first-party devices. To go along with the new app, Apple showed off and teased six shows under the Apple TV+ moniker at the event, but there will be at least 17 total, according to the tech giant’s keynote. The highlights include Little America, which is an Anthology/Drama series created by Kumail Nanjiani and The Morning Show, a workplace comedy with Reese Witherspoon, Jennifer Aniston and Steve Carell. Oprah also showed up on stage as this event’s iconic ‘one more thing’ moment to announce two new shows, as well as plans to create the world’s largest book club. We’ve got a full list of Apple’s upcoming original content right here.